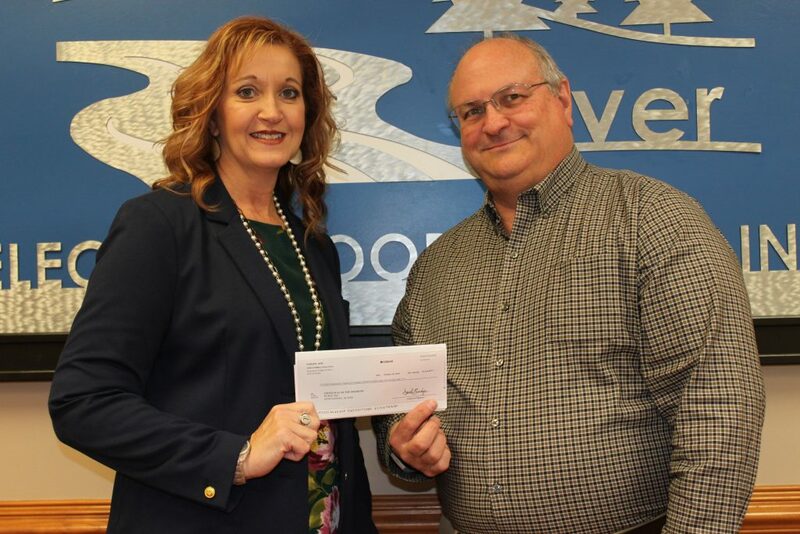 Sharing Success with United Way, Upstate Workforce - Broad River Electric Cooperative, Inc.
Tammy Bright of United Way of the Piedmont accepts the CoBank check from Broad River Electric CFO Jack Rogers. Broad River Electric’s Cary Johnson presents Ann Angermeier of the Upstate Workforce Investment Board with the check from CoBank. One good deed deserves another… and another. 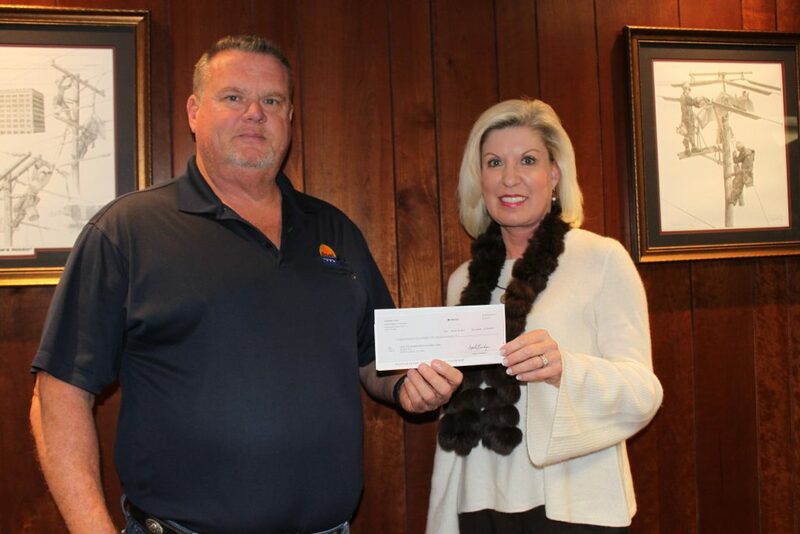 Broad River Electric Cooperative employees have been donating a portion of their monthly wages to the United Way of the Piedmont for decades and the cooperative annually matches those dollars. Thanks to one of its cooperative partners, an additional $2,328.00 have been added to this year’s gift. CoBank’s “Sharing Success” program matches contributions by their cooperative customers to nonprofit organizations. CoBank also matched Broad River Electric’s sponsorship of the Upstate College and Career Showcase with a $1,250.00 donation to the Upstate Workforce Futures Corporation, the foundation that supports the activities of the Upstate Workforce Investment Board. CoBank’s “Sharing Success” matching grants program created a $3 million charitable fund to benefit cooperatives and the charitable groups they support and celebrate the vital role that cooperatives play in communities across the country. CoBank is a national cooperative bank serving industries across rural America. United Way of the Piedmont is a private, not-for-profit organization serving Cherokee, Spartanburg and Union Counties whose mission is to connect, engage and inspire people to transform their community. The Upstate College & Career Showcase is a two-day event that enlightens students from Cherokee, Spartanburg and Union Counties on the importance of academic achievement and how it may impact their future. The initiative is a partnership between the Upstate Workforce Investment Board, South Carolina Department of Commerce, USC Upstate, Spartanburg Community College, Upstate Regional Education Center Board, and the Spartanburg, Union and Cherokee County school districts. Established in 1940, Broad River Electric Cooperative is a non-profit, member-owned distribution electric cooperative providing services to more than 21,000 members in Cherokee, Spartanburg, Union and Newberry counties in South Carolina and Cleveland, Polk and Rutherford counties in North Carolina.